This stunning 9ct yellow gold ring features three dazzling cubic zirconia with extra shoulder detail for added sparkle. A stunning ring that is guaranteed to bring a dash of glamour to any look. 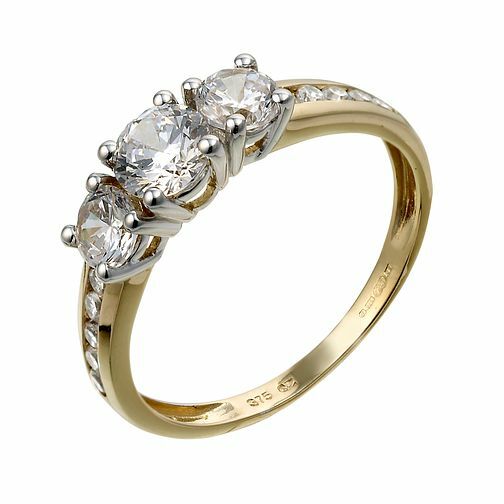 9ct Yellow Gold Three Cubic Zirconia Ring is rated 4.5 out of 5 by 6. Rated 4 out of 5 by Anonymous from It’s gold and sparkles She is happy with with the ring I bought for her..